Applications are invited from suitable bidders for a licence to operate Food and Craft Markets at the Longfield Suite, Prestwich for certain hours on designated market days over an initial period of one year commencing on 1 October 2015 with an option to extend for a further 12 months, and to operate and manage markets upon the site during those hours on those days and throughout that period. 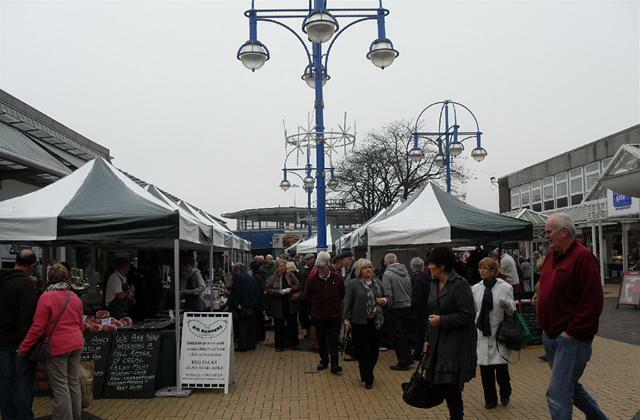 The Council is seeking an operator who will be innovative in its management and operation of the Prestwich Food and Craft markets in order to attract more traders and shoppers to the markets. Promotion and advertising are important areas that need improvement, as is partnership working and effective communication. A commitment to building local links with local independent traders' is important. If you wish to express an interest in applying for the licence then the process will be conducted electronically and will involve you registering your organisation on the Council's electronic tendering system known as The Chest. To assist potential bidders in applying for the documents, a step by step guide on how to both register on the Chest and make bids is available. If required, please contact the Council's Procurement team on 0161 253 5744 who will be happy to assist. Should you wish to discuss any aspect of the franchise being offered, please contact Andrew Heyes, Markets Manager, on 0161 253 6520. All details relevant to the closing dates for submission of applications and the award of the licence will be contained in the notification you will receive from The Chest and in the tender documentation.